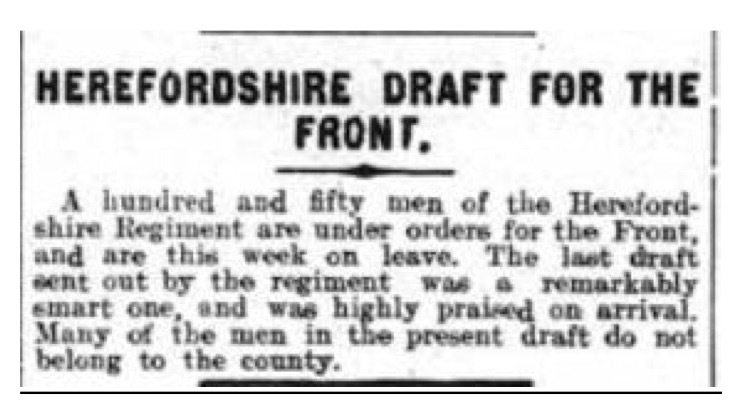 The North Wales Chronicle and Advertiser for the Principality of 12 November 1915 included an article from the Rev Ben Jones who had been invited by the Senior Chaplain, the Rev T H Richards MA, vicar of Clynnog, to address the soldiers of the Welsh Army stationed at Bedford. The morning service was held in St Paul’s church, capable of holding 1,100 people. Crowded chiefly with the Cheshires and Herefords, it was a sight never to be forgotten to witness the sea of brave faces in every corner of the church, and all so devoutly joining in the service. In the afternoon a short service was held in the hospital. In the evening Rev Jones attended the Welsh service in St Cuthbert’s Hall, where a good muster of Welshmen had come together to worship in their native tongue. 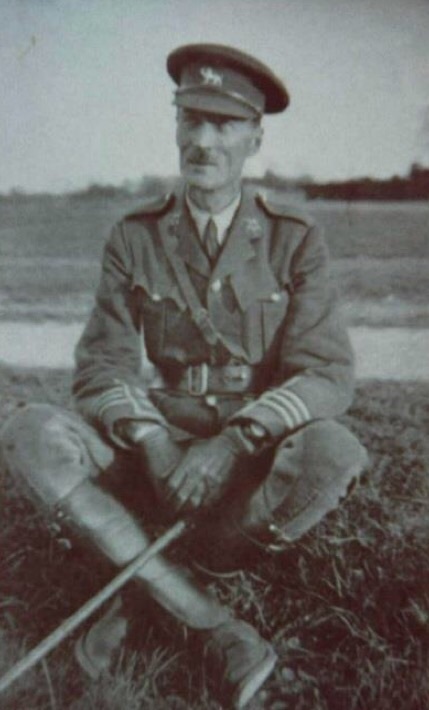 The service was conducted by Chaplain Hughes (late of Carnarvon). 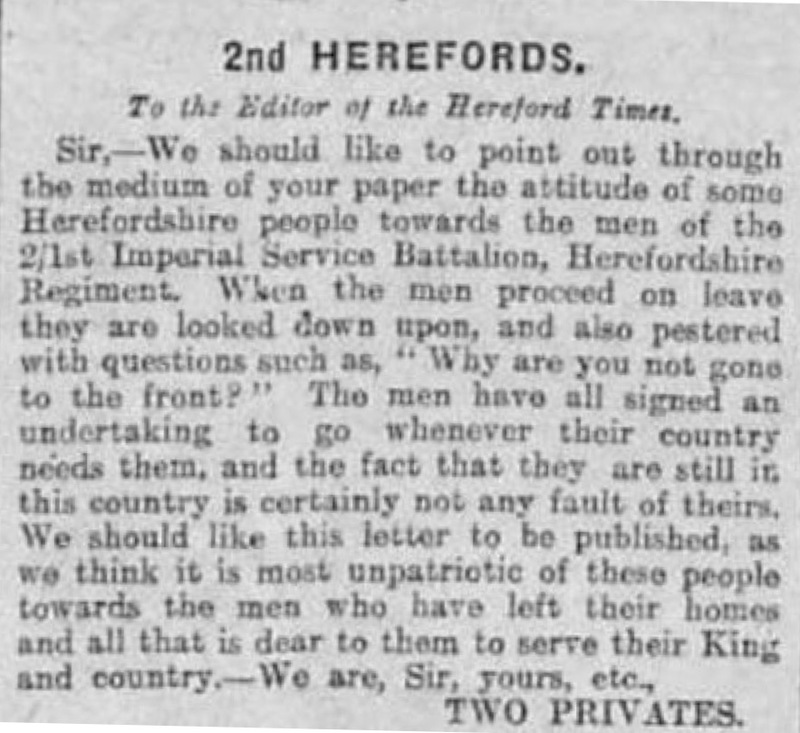 The lessons were read by General Mainwaring in English and Colonel Jones Roberts (of Penygroes) in Welsh. 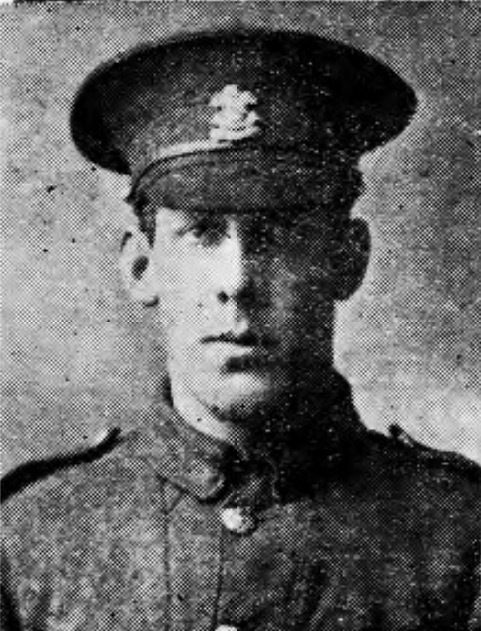 A solo was rendered by Private Llewelyn Jones (Llew Colwyn) ‘The Sailor’s Grave’, and the accompanist was Bandsman Owen Evans of Dinorwic. 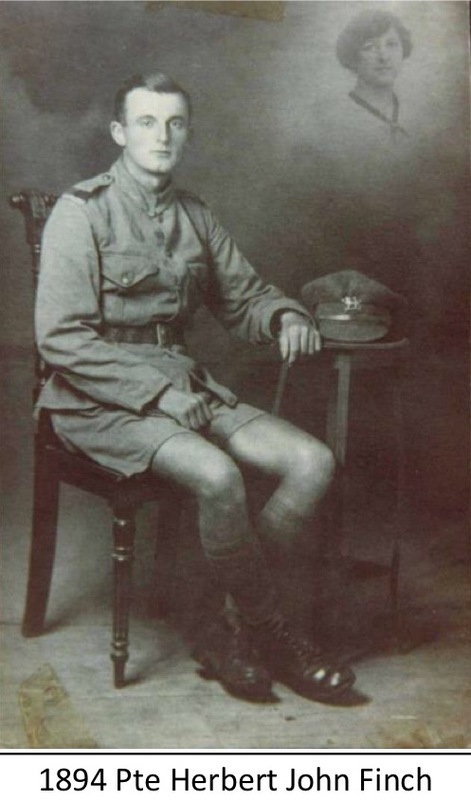 Colonel Jones Roberts was very popular with the men of the Division, who were mostly Welshmen and he and Mrs Jones Roberts saw that they got every comfort possible. Several services were conducted in English and Welsh during the day in different churches, besides the services held by the Non-conformist chaplains. On Sunday evenings and one week-night, Chaplain J T Phillips trains a large male voice choir at St Cuthbert’s Hall. 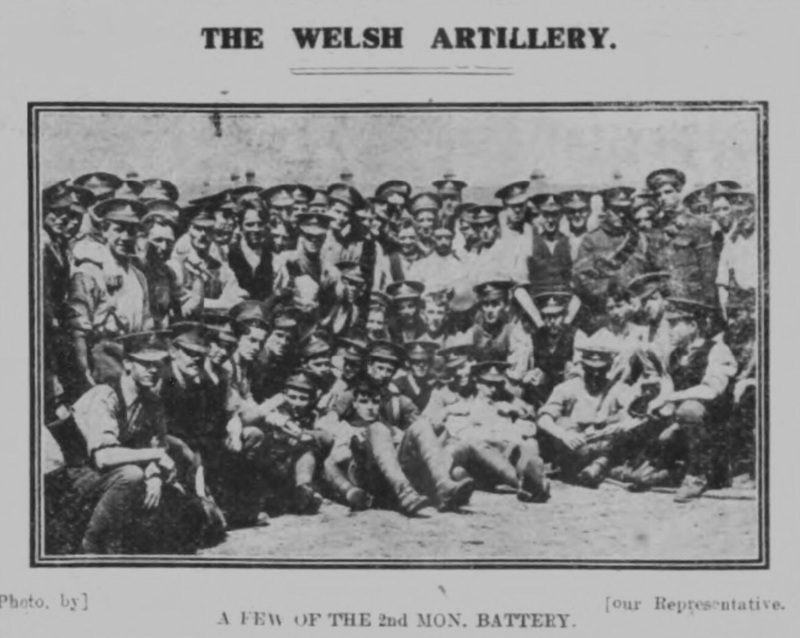 One day, Rev Jones visited Kempston where the artillery men were stationed and came across Captain Savage, of Bangor, Sergeant- Fitter Moses David Jones, of St Ann’s, and Gunner Pritchard, of Glanogwen. 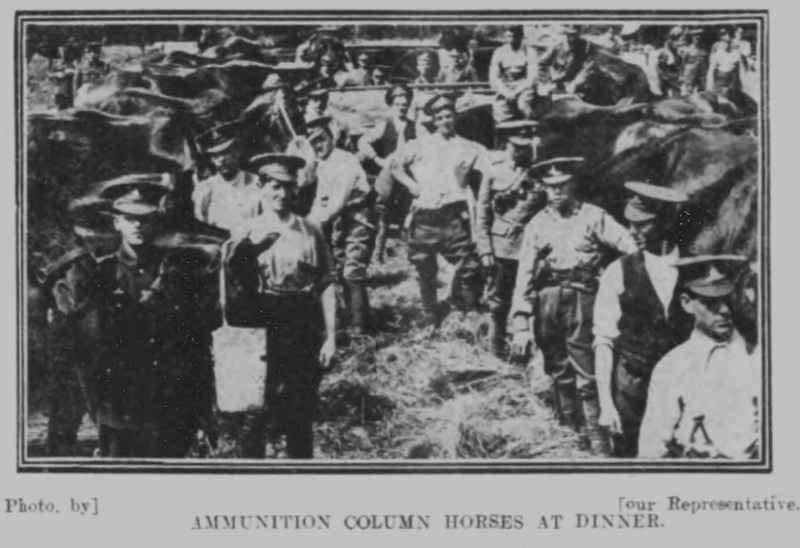 There was an amusing incident near the Granville Cafe on Thursday, reported the Bedfordshire Times and Independent of Friday, 21 May 1915, when the goat of the Royal Welsh Fusiliers showed its soldierly temperament. 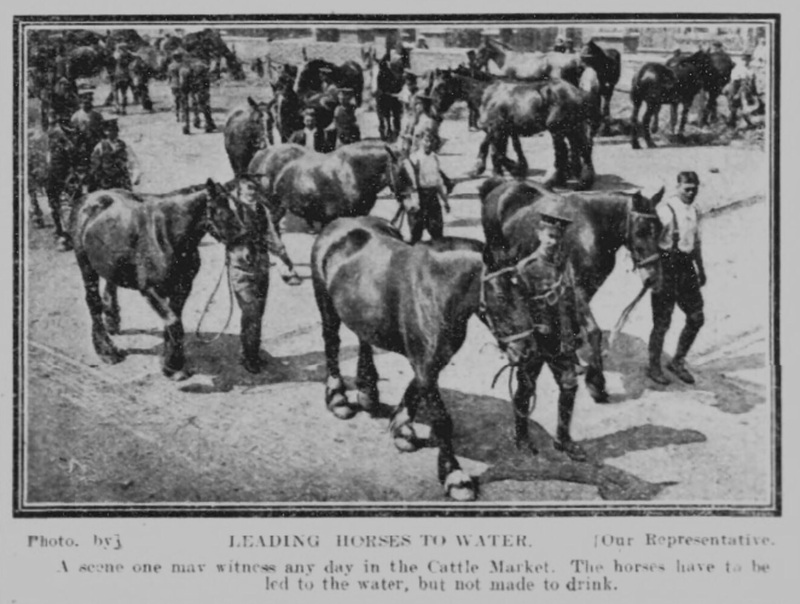 The battalion was about to leave the town, and the goat-sergeant had gone ahead with his charge. At the bottom of the MR (Midland Railway) bridge Billy refused to go any further, and butted his superior officer into the wall. After a few minutes the battalion came along, and Billy taking his accustomed place at the head became as docile as a lamb. On Wednesday, 16 August 1916 at the Bedford Borough Sessions Annie Tully, aged 20 years, of Union Street, Bedford, was charged with bigamy. Annie confessed to marrying Private Herbert Parry whilst her husband, Charles Tully, was alive. Annie had married Tully on 14 March 1914 in Llanelly, Monmouthshire, yet two years later on 2 August 1916 she married Parry of the 2/1st Brecknocks at Trinity Church, Bedford. 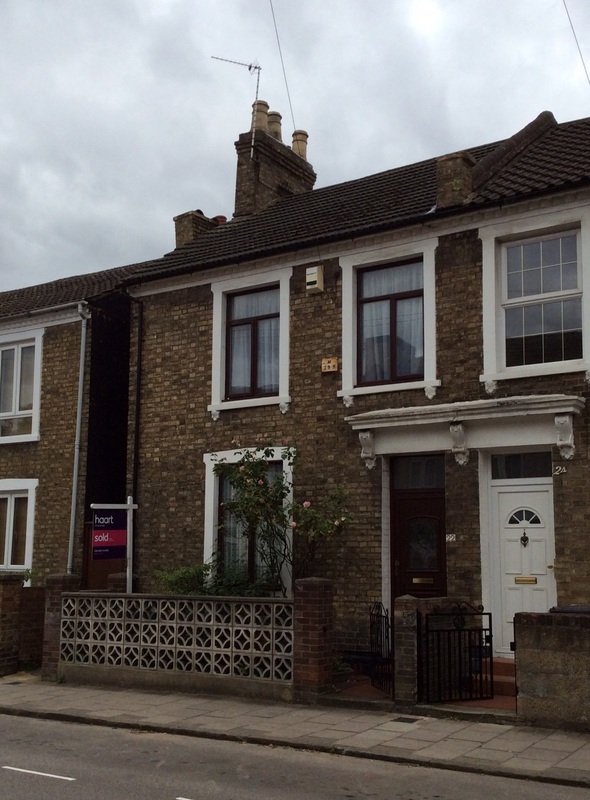 Parry was billeted at 72 Chaucer Road, two streets away from where Annie lived in Union Street. However, on 7 August 1916 Annie turned herself in at the Police Station saying ‘I have come down to admit that I have committed bigamy. I want to get it over.’ She was charged and cautioned and then made and signed a statement in which she said that Tully had ‘knocked her about’ three days after they were married and also about seven months later during her pregnancy, and her baby had been born dead that night . Annie left him the next morning, taking the bed sheets to pay for lodgings. Some weeks later Tully had begged her to return and she did. But the night she returned he swore to throw her in the canal. She left him again and had not seen him since January 1915. Parry testified that he had known Annie for about two years, so it would seem they had met not long after Annie married Tully. 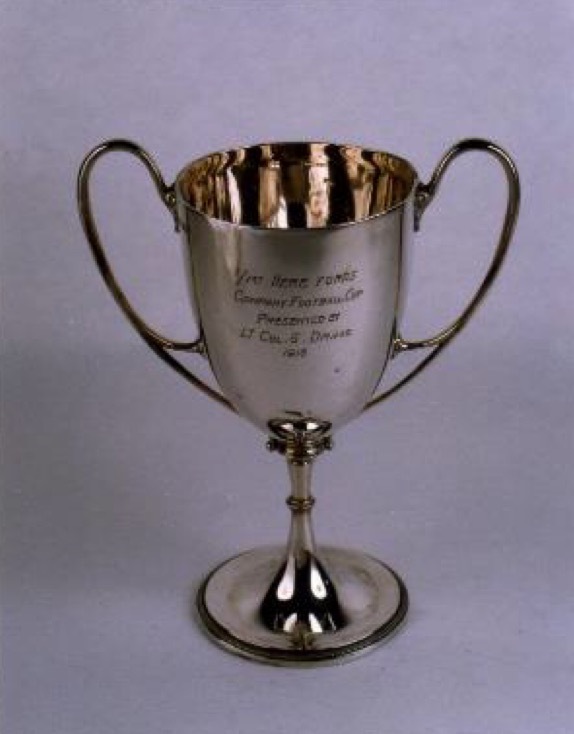 It is possible that Annie met Parry when his regiment was formed in Brecon, Monmouthshire, in September 1914 and that she followed him and the regiment to Bedford in 1915. It would be quite a coincidence if they happened to be from the same part of Wales and ended up a few streets from each other in Bedford. Annie was committed for trial at the next Bedfordshire Assizes. 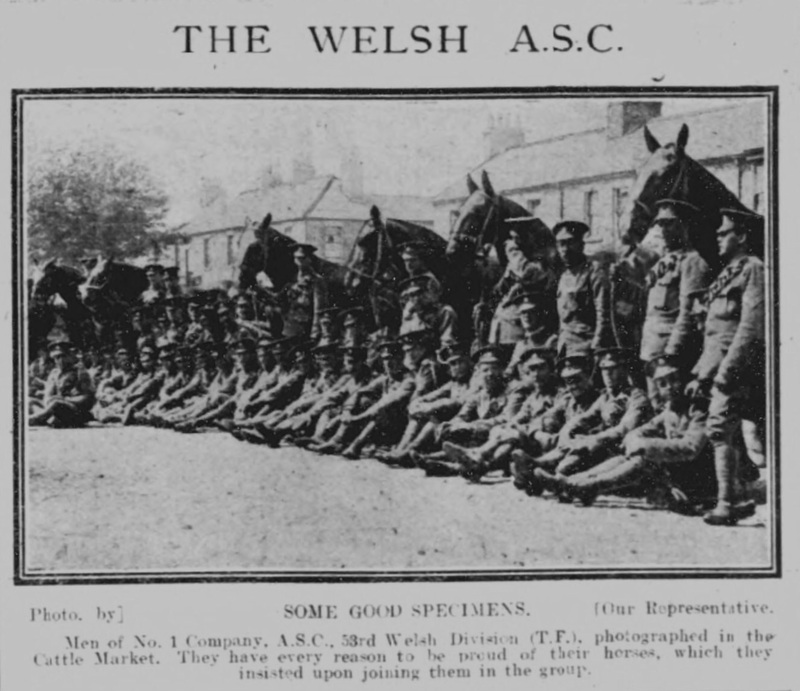 T4/251616 Sergeant D J Evans, of the RASC Supply Section, 53rd (Welsh) Division, from Pentre, kept a diary during the war. Both the original typed diary and a transcribed copy diary are included on the Rhondda Remembers website. 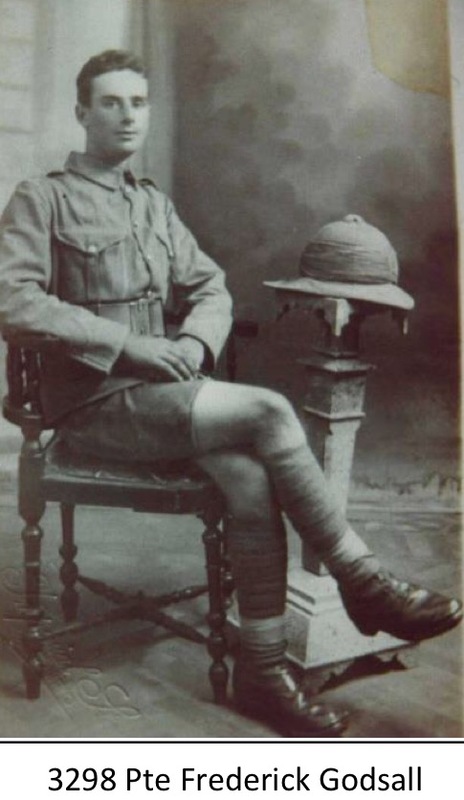 Sergeant Evans was stationed in Bedford from May 1915 prior to leaving the town on 14 July for Gallipoli as part of the Mediterranean Expeditionary Force. 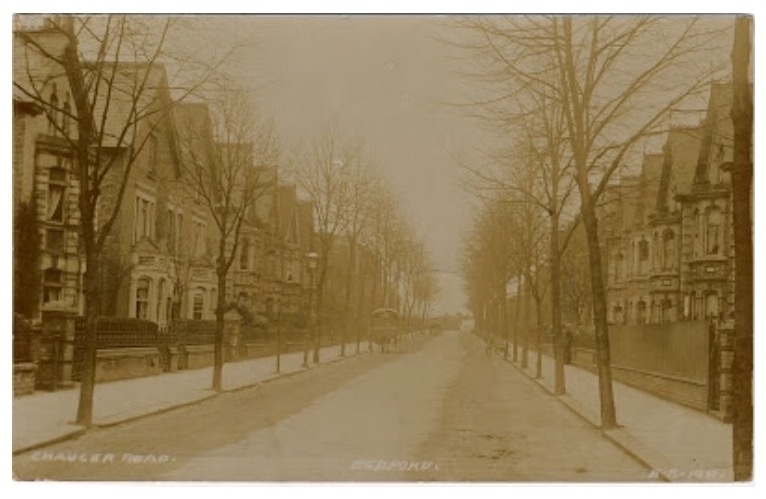 Whilst in Bedford, mam and dad had visited him earlier in July and stayed at 22 Western Street. 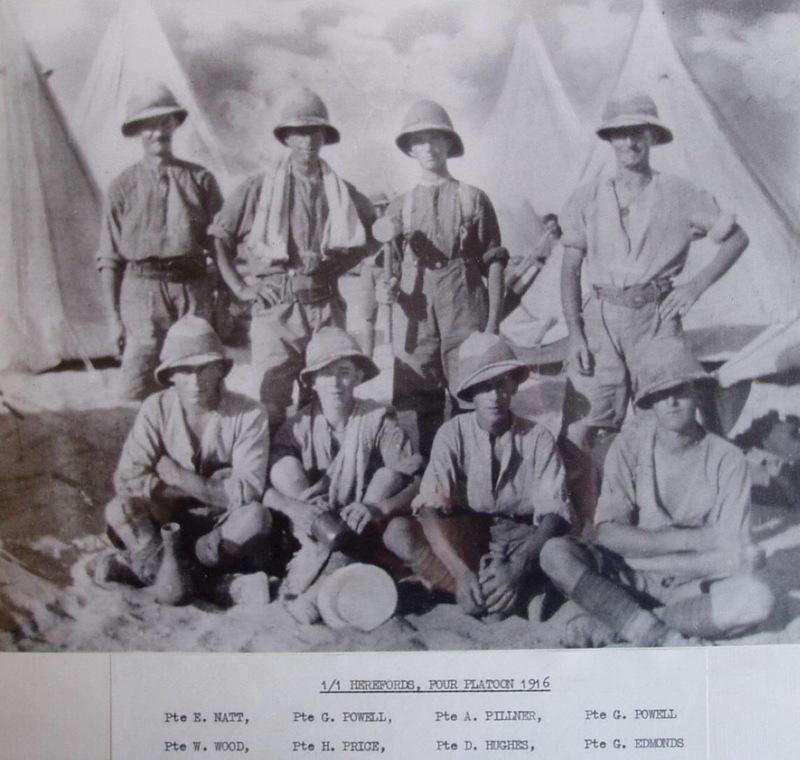 His diary makes fascinating reading, a snapshot of one soldier’s war, and includes much information at the end about the Egyptian Expeditionary Force.